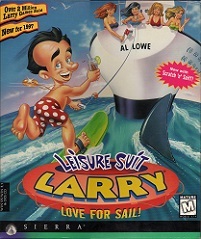 Leisure Suit Larry 7 can be run under DOSBox (either in DOS mode or by installing Windows 3.x in DOSBox). If you are not familiar with DOSBox, you can use this automatic installer from the SierraHelp pages. This modified installer for XP/Vista of Leisure Suit Larry 7 has been created by SquirtTheCat.